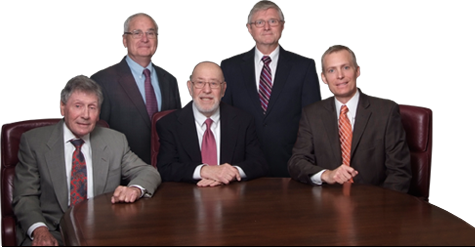 Trial Attorneys protecting the injured for over a half century. Choosing a relentlessly diligent personal injury law firm can be the most financially impactful decision of your life. Choose a settlement mill and you could get the fastest and most convenient result for the liable and their insurers. Call 608-535-1153 for a free case assessment. 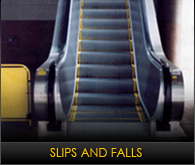 With the Warshafsky Firm you pay no fees until YOU collect damages. Insurance companies value your claim based on the quality of your lawyer. While you are learning about Warshafsky, the premier Madison, Wisconsin personal injury law firm, the insurance company’s defense is already hard at work. Billions of dollars in advertising have been spent making possible harvesting monthly premiums with the jumbo margins necessary to build insurance company empires. When you are horribly injured is when you notice the insurance companies who are opposing you dotting the horizon on skyscrapers and stadiums nationwide. Deep in their bunkers at insurance company headquarters fat cat executives work tirelessly to delay, deny and defend against paying to fairly compensate you for your damages. The less money insurance companies pay, the larger the fat cat’s paychecks are. Your livelihood is a decimal point of their profit. The defendants in your personal injury case and their insurance companies will fight making you whole with every fiber of their being. 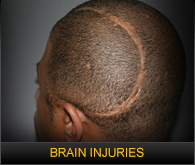 If you hire the wrong Madison personal injury attorney they will prevail. Warshafsky stands tall winning against them all. Winning IS about the money. Insurance companies value your claim based on the quality of your lawyer, offering not one penny more than the price it will take to make your claim, you and your lawyer go away. Signing a settlement creates an irrevocable conclusion. If you are not represented by Warshafsky that settlement might be substantially less than it should be. Choosing the wrong personal injury attorney costs injured Wisconsinites many millions every year. Some of the best known Wisconsin personal injury law firms spend millions on marketing yet have never won a trial in court. Law firms use football players and actors to confuse the injured into thinking their complete lack of reputation in the courtroom doesn’t matter. Choosing these “settlement mill” firms will put your case in the low cost column in the insurance company’s ledger. Many lesser lawyers operate just like the insurance company, enlisting the help of celebrity spokespeople and settling in just one call. An inferior personal injury law firm will accept the poor offer, take their cut and move on to the next case to settle. The lawyer gets paid, the insurance company limits the liability and YOU are left to figure out how to live the rest of your life. The only way to procure the most money in a personal injury lawsuit is to enlist the help of Madison personal injury lawyers who strikes fear into the heart of the insurance companies by holding them accountable for your injuries including pain and suffering and loss of income. Insurance companies WILL offer more money when they are up against a firm with a proven track record in court. Warshafsky prepares your case to win at trial from day one. Warshafsky has the intellectual power, fiduciary muscle and tenacity to carry your case even through appeal winning the largest possible cash judgments and settlements and making sure they stand. Preparing properly requires substantial human resources including career accident investigators, in-house medical doctors with law degrees, and a legal team comprised largely of attorneys poached from insurance companies with experience working for the other side. Warshafsky attorneys have prevailed before the Wisconsin Supreme court more than twenty times, literally clarifying Wisconsin law to the benefit of all wrongfully injured Wisconsinites. When you’ve been in a car crash, choosing a qualified attorney can be stressful and overwhelming. Let us make your choice easier. 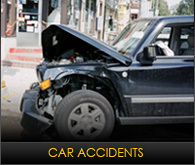 With Warshafsky Law, you’ll be represented by the top auto accident attorneys in Madison. Our experts offer free case assessments, finance your lawsuit until you get compensation, and have a risk-free No Win, No Fee policy. 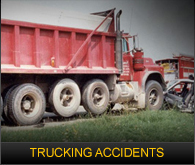 Our track record proves we get the highest amounts of money for vehicle crash victims in settlements and jury awards. Choose our car accident lawyers for the best legal representation, and receive the maximum financial compensation for your personal injury. Warshafsky is a firm that can afford a protracted legal battle. 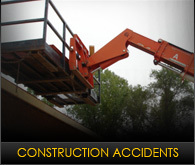 Warshafsky firm will fund your case through trial and appeal, collecting no money until you receive compensation. Contacting Warshafsky after you’ve been injured in an accident is smart, you get the proven capacity for millions of dollars in settlements or judgments. Our firm has proven to be monolithic in ability to procure multi-million dollar judgments forever impacting personal injury law in Wisconsin. Insurance companies fear Warshafsky. Warshafsky law firm serves in every field of personal injury, enlisting experienced car accident attorneys, motorcycle accident lawyers, medical malpractice attorneys, slip and fall injury lawyers, and product liability lawyers, we find the people who are responsible for your injury and hold them accountable. 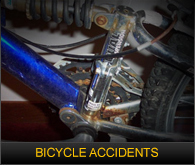 If you have been injured do not sign anything before your free initial consultation. 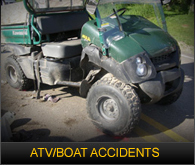 If you or someone you love has been injured in an accident, contact our Madison personal injury attorneys today.